Set includes 2-Bushing sets for to replace both bushings on the rear carrier. Reuses stock lower compression cup and replaces the lower and upper bushings. a shop press is strongly suggested for ease of install. The rear diff consists of a upper washer and bonded bushing. 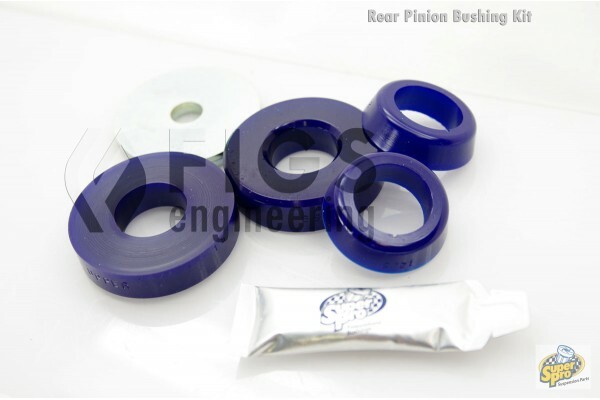 remove the stock upper washer which has a factory bushing partially bonded to it. Replace this is with the machined washer and new bushing. Place conical bushing on bottom and compress with stock cap.